This Saturday at the 10th anniversary of imaginExtreme the winners were: Sara Vilella in Inline Park Women, Gabi Muñoz in Streetboard Men, Sergio Nicolás in Streetbord Cross Men, Brasyn Smith in Scooter Cross Men and Nil Soler in BMX Dirt. The winners of the second edition of the Barcelona European Open (BEO) were Kevin López in the Junior category, Daniela Terol in the female category and Joao Lucas in the male category. The imaginExtreme Barcelona is already underway this Saturday in which 8 finals have been held and, in addition, we have begun to know which riders will fight in tomorrow’s finals for the first places. Of these 8 finals, 3 have been skateboarding where we have been able to enjoy the competitions of the Barcelona European Open (BEO) and meet the winners of 2018. On this first day of competition we have also been able to see the innovations that are taking place in this 10th anniversary such as the RiftAnalyst Cup, the Dirt Jump or the Wakeboard. This edition of the imaginExtreme has begun with a new modality in Barcelona, ​​the Streetboard Cross. In this modality 16 riders competed in a one-on-one and whose won reached the final. In the last race, two of the favourites arrived and Sergi Nicolás finally won. After this they have continued with the first finals in Central Park. The girls have opened the Park with the Inline Women where 3 Spanish riders and 3 French riders competed. All the girls have shown a high level, but the Spanish have been in the top three positions, winning this final against all prognosis Sara Vilella. Next, the final of Streetboard with 8 finalist riders was held and Gabi Muñoz was on top of the classification since the first round, which revalidates the title he won last year here in Barcelona. Finally, another competition was held in the Cross area, this time was the Scooter where Brasyn Smith took the first place. 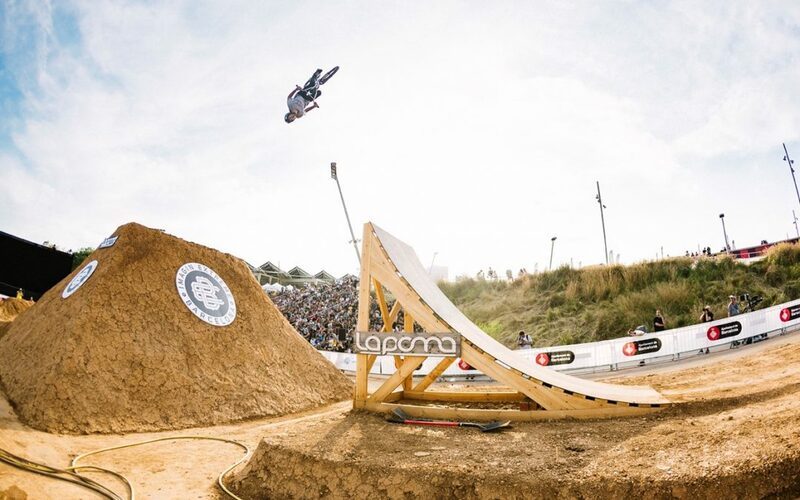 To close the day, the BMX final was held in the new Dirt Jump where there were last-minute changes when only 7 of the initial 20 riders competed because of the wind blowing in the facilities of the imaginExtreme Barcelona. Nil Soler, a local rider from Igualada, has won this competition by making a double backflip on the third attempt. Tomorrow it will be held the rest of the competitions at the imaginExtreme Barcelona such as the highly anticipated world final of ISA Scooter, Men’s Inline Park, Men’s BMX Park, MTB Dirt and World Street Finals, among others. It is also important to highlight the final four of Wakeboard with the Marbella Wake Club, Republic of the Philippines Turn Cable and Gallego of OCP teams. In the afternoon, the three BEO finals were held, consisting of a 45-second round and 3 Best Tricks. The competition has opened with the junior final, the future promises of skateboarding, and the winner has been Kevin López. Then came the turn of the girls where the euphoria in the stands has been unleashed after the victory of nine-year-old Daniela Terol who has revolutionized the audience. Finally, the expected male final has come where we have seen very high level that had not seen before at BEO. The riders have used all the modules of the Park in their rounds and the winner has been Joao Lucas closing the BEO with another surprise. In the celebration of 10 years of imaginExtreme one of the great novelties was the introduction of eSports. On Saturday the quarterfinals of the RiftAnalyst Cup where held, the first stop of the Storm Circuit for amateurs of League of Legends (LoL). The teams that have passed to the semifinals tomorrow are Kiyf Academy, Good Question, Cdesa and Eagles UDG (University of Girona). In addition, three well-known players have been seen in the LoL gamer scene: electrokidi, Diamond and Miniduke.